TALLAHASSEE, Fla. – When he left Bethune-Cookman for Alabama State after the 2011 season, Mervyl Melendez figured there would be no more trips to Tallahassee. As the head coach at B-CU, Melendez guided the Wildcats to five NCAA Regional appearances in Tallahassee (2000, 2001, 2004, 2007 and 2011), each bringing with it a loss to Florida State. Melendez will get another crack at the Seminoles on Friday, when his Hornets face FSU in the first game for each team at the NCAA Tallahassee regional (6 p.m., ESPN3). Records aside, Melendez has done more than enough to earn the respect of FSU coach Mike Martin. Martin recalled a Buster Posey-fueled rally against Bethune-Cookman in 2007, and the Seminoles also needed some late heroics to top the Wildcats in 2011. With that in mind, Martin expects a test from ASU on Friday night. And the Hornets have both the resume and the roster – especially in the pitching staff – to suggests he’s right. The Hornets arrive in Tallahassee having won 15 of their last 16 games, and they finished a perfect 24-0 in Southwest Athletic Conference play. They gave the Seminoles all they could handle in a midweek game last season, carrying a two-run lead into the seventh inning before FSU rallied for an 8-7 victory. “(We were) very, very lucky to win the ball game,” Martin said. At the center of ASU’s success is a rotation that features three starters with a combined record of 27-4 and an average ERA of 2.26. The Seminoles will face ace Joe Camacho (10-0, 2.04 ERA) on Friday. The 5-9, 175-pound right-hander was recently named a third-team All-American by Louisville Slugger. That said, Melendez doesn’t mince words when discussing his team’s odds for the weekend. The Hornets are still a No. 4 seed and are set to play one of the nation’s most tradition-rich programs – in an atmosphere unlike any they’ve played in this season. The Seminoles seem to be trending in the right direction, too, having won four of their last five contests, including two victories over No. 3 national seed Miami, on the way to an appearance in the ACC championship game. 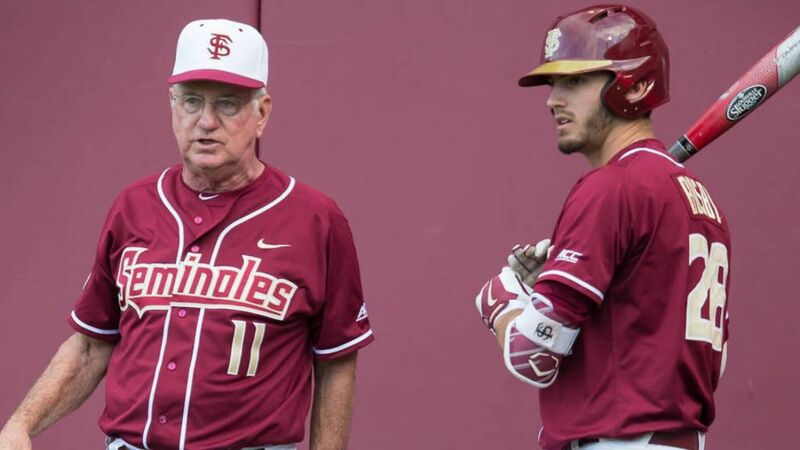 “You can’t say enough about what Mike Martin has done here at Florida State and the tradition,” Melendez said. “We know what we’re against. We’re against one of the best in the business, and we’re against an icon that has done it and has done it for a long time. Some of us may want to get there one day, probably will never get there.